The City of Bloomington – www.bloomingtonmn.gov – is located just ten minutes south of Minneapolis–St. Paul and west to MSP Airport. Bloomington is a first tier suburb of The Twin Cities and Bloomington is the fifth largest city in Minnesota with a 2016 estimate of 85,319 people. It is located in Hennepin County on the north bank of the Minnesota River. Approximately one third of the city of Bloomington is permanently reserved for park purposes, including two large natural areas – the Minnesota Valley’s wetlands and the Hyland Lake Park Reserve. Water bodies within the city include Bush Lake, Long Meadow Lake, Lake Normandale, Marsh Lake, Nine Mile Creek, Penn Lake and about 100 small lakes and ponds with their wetland habitats. The city is home to a large amount of businesses that employ more than 100,000 people. Those businesses and employees benefit from its location near major transportation routes and the Minneapolis–Saint Paul International Airport. Bloomington is also a major hospitality center with nearly 8,000 hotel rooms. The Mall of America – www.mallofamerica.com – is located in Bloomington and has a gross area of 4,870,000 square ft or 96.4 acres and is big enough to fit seven Yankee Stadium’s inside with 2,500,000 square ft available as retail space. The Mall of America hosts more than 400 events a year which includes concerts, celebrity appearances and fashion shows. Each year over 40 million people from around the world visit the mall and The Mall of America generates nearly $2 billion each year in economic impact for the state. Bloomington has more jobs per capita than either Minneapolis or Saint Paul, due to the United States’ largest enclosed shopping center, the Mall of America, and the only IKEA in Minnesota. In Addition you find the headquarters of Ceridian, Donaldson Company, HealthPartners, Toro, Donaldson Company, the Evangelical Free Church of America, Great Clips, HealthPartners, Holiday Station stores, Thermo King and major operations of Express Scripts, Seagate Technologies, Wells Fargo Bank Ceridian are found in Bloomington. Bloomington School District 271 – https://www.mnschools.com/school-finder/school-districts/bloomington-271 – Bloomington Public School District is an above average, public school district located in Bloomington, MN. It has 10,460 students in grades PK, K-12 with a student-teacher ratio of 16 to 1. According to state test scores, 57% of students are at least proficient in math and 60% in reading. Nine of the schools are Blue Ribbon Schools of Excellence and another six have received Minnesota School of Excellence designations. Niche 2019 Best Schools ranking for School District 271 is as follows…26th out of 344 for diversity in the State of Minnesota, 107th out of 344 for Best Athletics in the State and 147th out of 344 for Best School District in the State of Minnesota. Bloomington offers a central location with easy access to Minneapolis and MSP International airport, great shopping and many wonderful restaurants and lots of job opportunities. A location to consider when looking for a home! 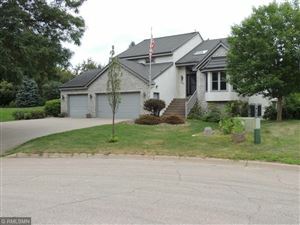 See all Real estate in the city of Bloomington.